Open, accessible exercise equipment provided by outdoor fitness centers help create an attractive facility and the opportunity for community members to freely improve health, wellness and happiness. 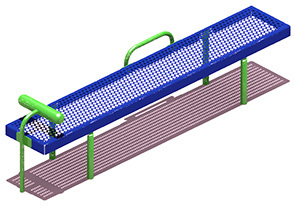 This Sit-up station is a fitness center staple, both in and outdoors, and has become a popular addition along the sides of trails and bike paths. 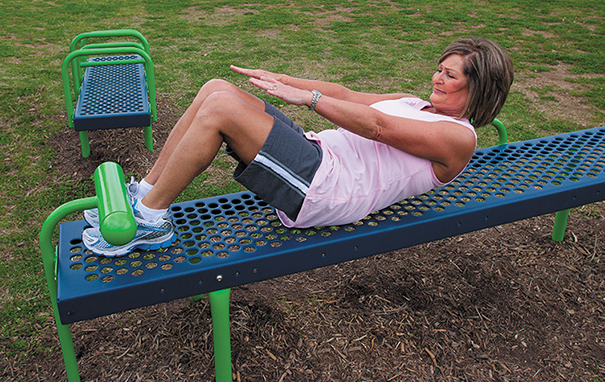 Flat and versatile, the Sit-up station is the perfect low impact piece of equipment to help people at any level of fitness customize their workout plan and practice a variety of ab and core exercises. Sit-up stations utilize the body as resistance teaching and allowing users to strengthen and tone the lower back, abs and core.